Party season style tends to be an explosion of sequins and enormous blow-dries, so for those of us who prefer to keep it low key, the whole time can be a bit of a minefield. If the idea of glitz and glamour sends you into a meltdown – don’t fear: our stylist Mia is on hand to give you the lowdown on how to get perfect “anti-party” festive style, from hair to makeup, to failsafe party touch-up tips; the Glasshouse way. “Section off a bit of the crown, tease and backcomb the hair underneath for volume. Tie the rest of the hair up with it so you get a little bump over the top of the ponytail – beehive style. Take your hands to pull a little out over the top of the crown for added volume,” says Mia. This look leaves the eyes and ears exposed, so dig out your best statement earrings and draw attention to your peepers with a cute cat eye – try our favourite, go-to liquid eyeliner by Jane Iredale. You can get in on the glitter game with RMS Beauty’s Living Luminizer for a more natural take on winter glow. So if festive season hair and makeup has been stressing you out, try these styles out for size: we’re pretty sure they’ll get even the most fuss-averse Glasshouse girls sporting party perfect looks in no time. 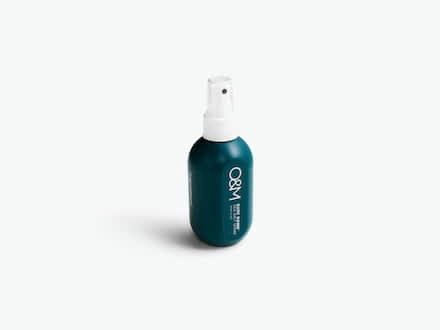 Whether you’re on the tube or just dashing out the office, this sea salt spray is a handbag staple that’ll have hair looking naturally textured in no time. The festive season calls for a bit of glow and shimmer. 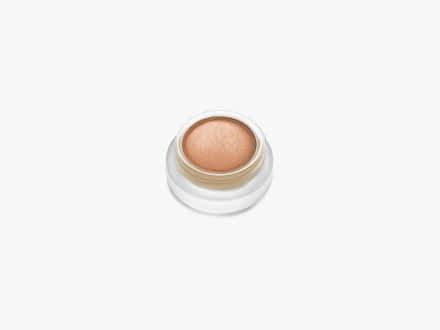 Keep things subtle and rose gold toned with this dewy luminizer by RMS Beauty.